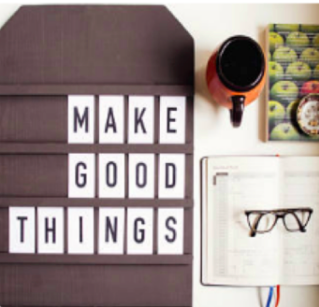 Alli Clements, sign-maker extraordinaire, one of the many vendors at the April Garland MarketPlace, makes signs that allow folks to create their own messages. 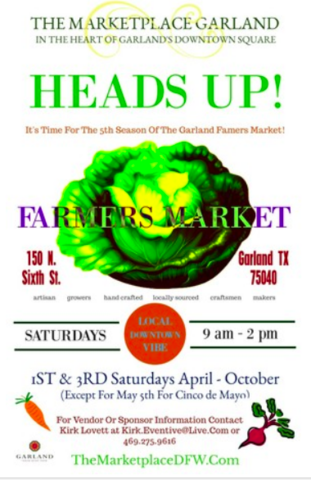 There are lots of reasons for attending the Garland MarketPlace—Music, makers, crafters, artists, farmers, fresh produce, one-of-a-kind items, locally baked goods, fresh air, and chatting with friends and neighbors. The Garland Area Makerspace will have a booth there! We are excited to meet you and hear about what kinds of things that you like to make. We will have information available to also tell you about our vision for a Garland Area Makerspace. Learn how you can become part of these plans. We hope to see you there.